Class 08 diesel shunter 08907 arrives by road at Quorn & Woodhouse from Bescot TMD on 28th November 2016. Photo: GCR. 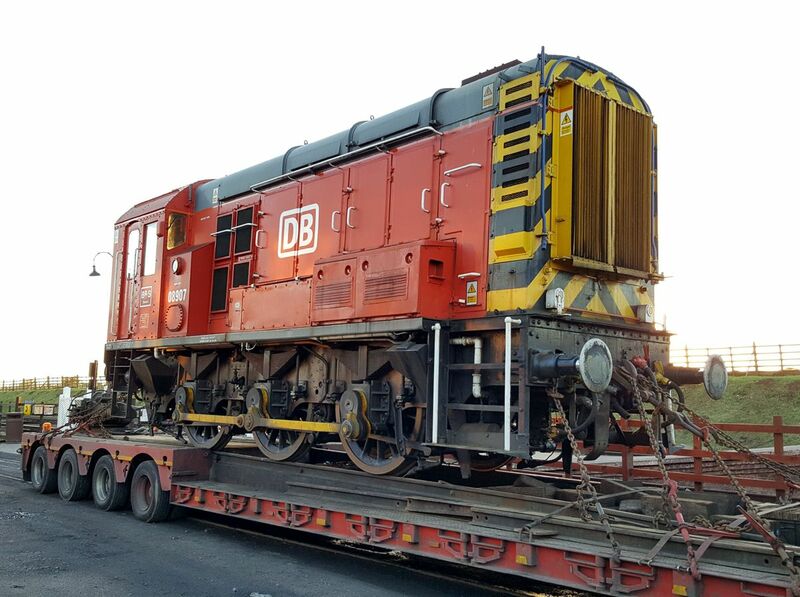 A new addition to the GCR locomotive fleet arrived at Quorn & Woodhouse on Monday 28th November. 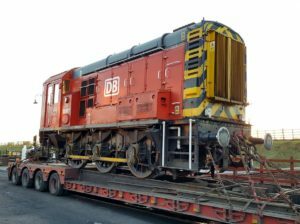 Class 08 diesel shunter 08907 has been purchased by the railway from major freight operator DB Cargo after a number of the class were offered for sale after serving in significant numbers on the national network since the 1960s. Built in 1962 at Horwich Works and originally numbered D4137, the loco saw service in various yards around the country including spells at Burton, Leicester Midland, and Holyhead. Renumbered 08907 in the 1970s, the locomotive was in service until recently at Bescot TMD in the West Midlands. Having now arrived at GCR the loco will receive some work to re-commission its vacuum braking system which was isolated some years ago and will then enter regular service based at Loughborough. Shunting operations are vital to the flexibility of the railway in providing a much varied range of services from day to day.